Individually wrapped squares of peanut brittle/chikki. Sweet, not not sticky. A little buttery, but never greasy. A good crunch without the toughness. Rich, aromatic flavors born of premium ingredients made the traditional way. 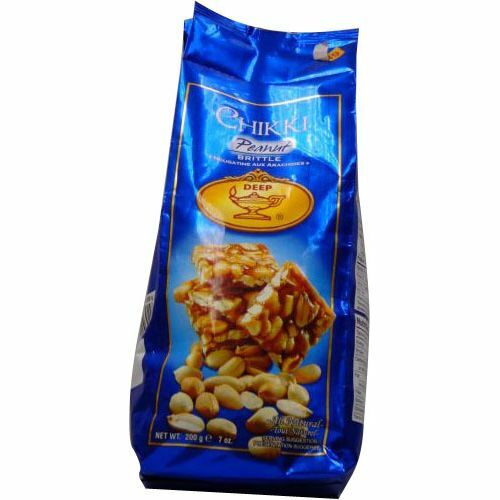 Contains: Peanuts made in a facility that processess tree nuts, soy, milk, wheat and sesame.